Pronounced DIS-KAL-KOOL-EE-AH, ‘dyscalculia’ comes from Greek and Latin and means ‘counting badly’. Developmental Dyscalculia is a specific learning disorder that affects 5-6% of the school population. This small group of pupils work significantly below their peers in maths and are therefore not making age-appropriate progress. 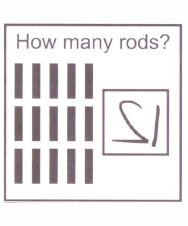 They process numbers differently from their typically developing peers and use a wide range of approaches: inefficient and laborious methods, rely on using their fingers whilst counting, unable to tell which of two numbers is larger, have difficulty estimating and use uneconomical methods to solve problems. No two children with developmental dyscalculia present the same profile of strengths and needs. 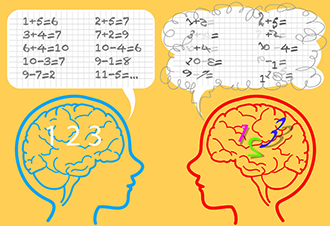 Students with developmental dyscalculia show difficulties in the acquisition of core foundational number skills. It is therefore important to identify their Specific areas of Learning Difficulties (SpLD) so that a targeted and intentional intervention can be offered. The developmental building blocks of acquiring, recalling and applying numbers in their symbolic and non-symbolic forms requires the efficient coordination of numerous cognitive and sensory pathways involved in supporting number development: working memory, auditory and visual processing, attention and visuospatial perception. Furthermore, pupils who present deficits or lesions within their cognitive and sensory systems find that this interferes with processing numbers. Developmental Dyscalculia is often encountered in a variety of neurological and co-occurring disorders such as attention-deficit hyperactivity disorder (ADHD), developmental language disorders, dyslexia, epilepsy, and Fragile X syndrome. It is also prevalent with other biological conditions including Williams Syndrome, Autism, Turners Syndrome, Duchenne Muscular dystrophy, DiGeorge syndrome and foetal alcohol syndrome. The process of supporting pupils with this condition requires great effort, patience and time, since their difficulties are developmentally mediated and are reliant on the their developmental history rather than a topic. A pupil with pure dyscalculia presents their difficulties exclusively in processing numbers whilst in other subject areas they work like typically developing students. It is important to differentiate dyscalculia from developmental dyscalculia and maths developmental delays. Environmental deprivation, poor teaching or a curriculum that is moving too rapidly may lead to maths developmental delays. 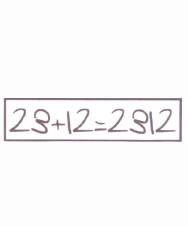 Dyscalculia can arise as a result of a stroke or an injury and is known as acquired dyscalculia. Neuroscience research suggests that dyscalculic individuals have a specific neural deficiency in the intraparietal sulcus part of the brain and the cells in that part of the sulcus are either weak or damaged (Butterworth, 2012). Research indicates that the acquisition, recall and application of arithmetic is both domain specific and domain general. Dynamo Maths’s focus is on supporting pupils with developmental dyscalculia. Dynamo Assessment’s strength lies in differentiating pupils with developmental dyscalculia from those with maths developmental delays using the researched and validated NumberSenseMMR™ framework. A label of developmental or maths developmental delays serves no purpose if the pupil cannot be supported. Dynamo Assessment offers signposts to Dynamo Intervention and a trained interventionist can re-position the pupil’s number sense development and build arithmetical capacity. The NumberSenseMMR® framework provides a structure to identify and understand the components of developmental dyscalculia and math developmental delays. It is symbolized by a tree that measures components of number and their development against three broad stages: Meaning, Magnitude and Relationship. Number Meaning: activation of the Approximate Number System (ANS) to onset the learning and development of the components of the Arabic number system in its declarative, written, quantitative and place value forms. Number Magnitude: the perceptual and reasoning skills to sequence, order, compare and estimate. Number Relationships: applying arithmetic operations to solving number problems. When pupils successfully access the Number Meaning and Number Magnitude components, it gives them the foundation to develop Number Relationships. Developmental dyscalculia is a condition that affects the ability to access the foundational components of Number Meaning and/or Magnitude. These foundational components form the basis of Number Sense development, which is a prerequisite for later maths development. These number sense components are not at the expected level of the person’s chronological age, stage of schooling or intellectual abilities. The ANS system can be activated visually, auditorily and through tactile senses. 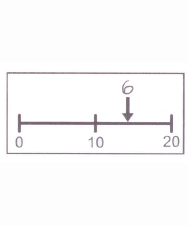 The roots of the NumberSenseMMR® framework depict the activation of the sensory pathways to trigger the process of the ANS and this in turn onsets the development of the skills to subitize, leading to the acquisition of the symbolic numbers. 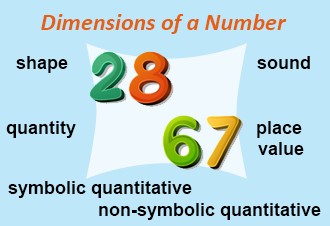 Dehaene’s Triple-Code Model (1995) gives clarity on the dimensions of numbers – shape, sound, quantity (symbolic, non-symbolic, quantitative) and place value. For some pupils, the introduction of these early skills has either been missed or is compromised due to their unique biological or co-occurring conditions, which impede their association to numbers and their application. At the root level of the framework, the components of visually discriminating objects, subitizing, associating the declarative forms to the correct written symbol, one-to-one correspondence and counting are assessed through methods that involve sensory pathways, verbal and non-verbal memory, vocabulary and language. Where pupils show difficulty with these areas, the indicators within the framework identifies this as being at risk of developmental dyscalculia. A significant amount of research in the area of dyscalculia is associated with difficulties in accessing the magnitude from numbers. 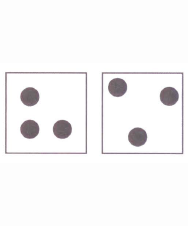 An important skill that underpins the ability to access magnitude from numbers is in the application of numbers using visuospatial, perceptual and reasoning skills. This area of development is depicted in the trunk area of the symbolic representation of the tree and the framework detects the profile of the pupil in accessing components of magnitude with numbers. The skills of comparing two numbers or quantities, approximating, estimating, using mathematical vocabulary and language, ordering numbers, sequencing forwards and backwards, following a sequence of pattern- all these are areas of number development toward building the flexibility and fluidity in applying the Four Basic Mathematical Operations meaningfully and within problem settings. The NumberSenseMMR™ framework indicates that the aggregation of marginal gains – the small improvements in the number meaning and magnitude areas – can bring greater progress in the maths areas. This means that little improvement within the many early strands will make a huge difference in securing the relationship part of the pupil’s number sense development. Pupils performing below age-appropriate level within the Number Meaning and Number Magnitude area suggests symptoms of dyscalculia. Where pupils show difficulty at an age-appropriate level, the indicators within the framework detect this at the trunk level as being at risk of developmental dyscalculia. Pupils performing below age-appropriate level within the Relationship area suggests maths developmental delay. The NumberSenseMMR® framework can be used to develop number sense milestones according to the pupil’s age and the curriculum. It profiles the strengths and age-mapped gaps in the pupil’s learning and development. Each of the stages in the NumberSenseMMR® framework has a range of components and the ease and agility in which the meaning, magnitude and relationship of numbers are extracted gives an overall profile of the pupil’s number sense development. The ultimate aim is to have pupils who can apply their knowledge of numbers efficiently and with fluidity within different contexts. This is the top end of the tree within the NumberSenseMMR® framework -Number Relationship area. In this area, the pupil’s understanding of number concepts, recalling number facts and applying these to solve problems using mental and written strategies within different contexts. Research shows that the small-step improvements in the Meaning and Magnitude areas bring greater progress in the maths areas.